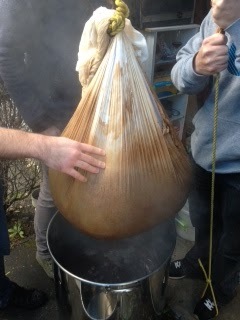 Last weekend I took part in one of the most ambitious brew days ever, two big imperial style beers and a partigyle. 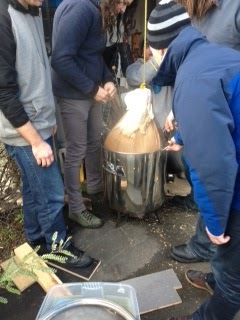 A total of 120 Litres of beer brewed in one day. A big thanks to the guys who showed up at Oli's place and contributed gear and ingredients. 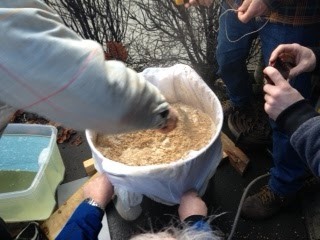 Early indication, of these were good, the yeast were US-05 for the iStouts. 3522 for the Belgian stout, and was split between 2 the other half used the New Mangrove Jacks Belgian Ale, and lastly, they tried out the Newcastle dark ale by mangrove jacks and the /US mangrove jacks yeast. Will be interesting to see how these turn out. 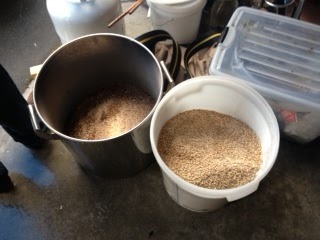 we did the Beglian stout BIAB, and brewed up 40 odd litres of it, heres some pictures to show you. Heavy lifting involved. of which I couldn't do any of.